There’s a whole lot of different things we need to think about when it comes to our health and what we eat. I find it hard to really get a hold on how well I am ACTUALLY eating.. Since I started running I’ve been forced to look over my habits as I lost a lot of weight (I know this is usually a good thing, but when I was down to 105lbs for my 5’5″ body it got to a point where I desperately needed to step my intake up) and could not seem to get a hold on how I should be eating to fuel my body. Since then I’ve found a diet and a way of fueling that works well for me. I’ve put on some weight again, but I’m still way beyond where I started when I started with the running in May 2012. 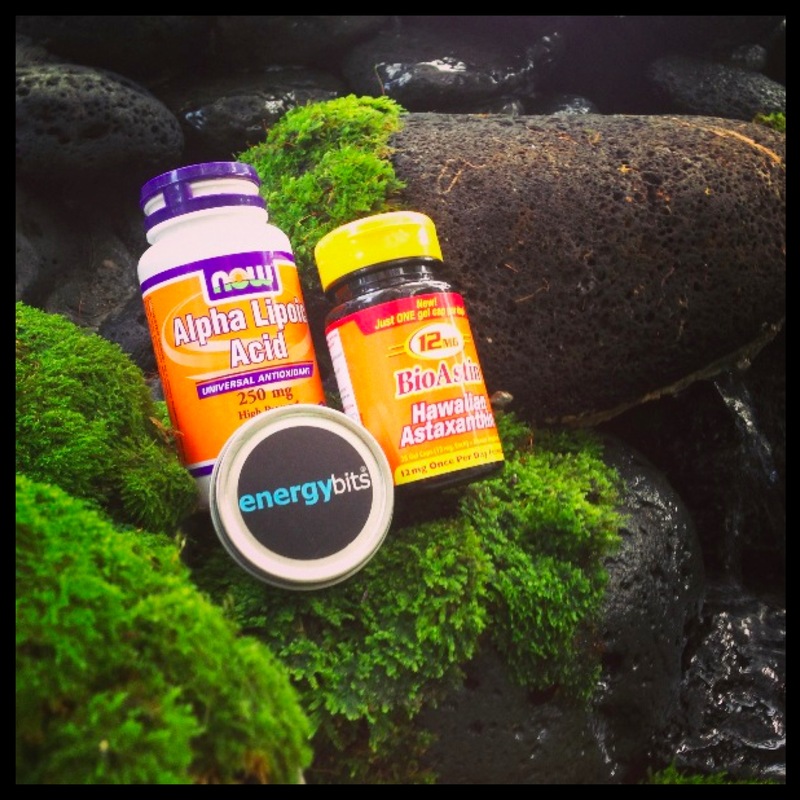 I had been taking a multivitamin pill for a while when I found ENERGYbits. These 100% spirulina algaes are FULL of the vitamins and minerals (in fact, if you’re using the bits every day the only thing you might want to think about is Vitamin D which the spirulina algae doesn’t have) our bodys need and I stopped taking my normal multivitamins. As I live in Hawaii and usually get a bit of sunshine everyday I don’t have a crazy need for the Vitamin D, but if you’re living in a place with little sunshine or if you’re spending a lot of time inside you might want to think about taking a Vitamin D supplement. As we just moved to a less sunny spot on the island I’m wondering if I should go back to taking a little bit of Vitamin D supplements too. Because of my history of depression I need to be very careful with these kind of things as a slight little imbalance in my body can affect me very bad..
Spirulina in the shape of ENERGYbits (which I’m sure by now you already know I love..) or Spirulina Powder added to juice, yoghurt, smoothies or just on top of bananas. A while ago I got in contact with Nutrex Hawaii as I was curious about their product BioAstin. I’ve seen it around a bunch lately and as I’ve had some problems with my skin and getting burned easily in the sun I figured it would be interesting to see if these pills could help me. BioAstin consists of the antioxidant Astaxanthin and is said to have many benefits for our body. As I’m right now taking these pills daily to be able to review the product I’ll be back in a later post telling you more about it. Alpha Liphoic Acid (ALA) is the third and last supplement I take on a daily basis. This is an antioxidant that are found in low doses in some foods (spinach, broccoli, yams, potatoes, yeast, tomatoes, Brussels sprouts, carrots, beets etc) and is also made naturally in our bodies. 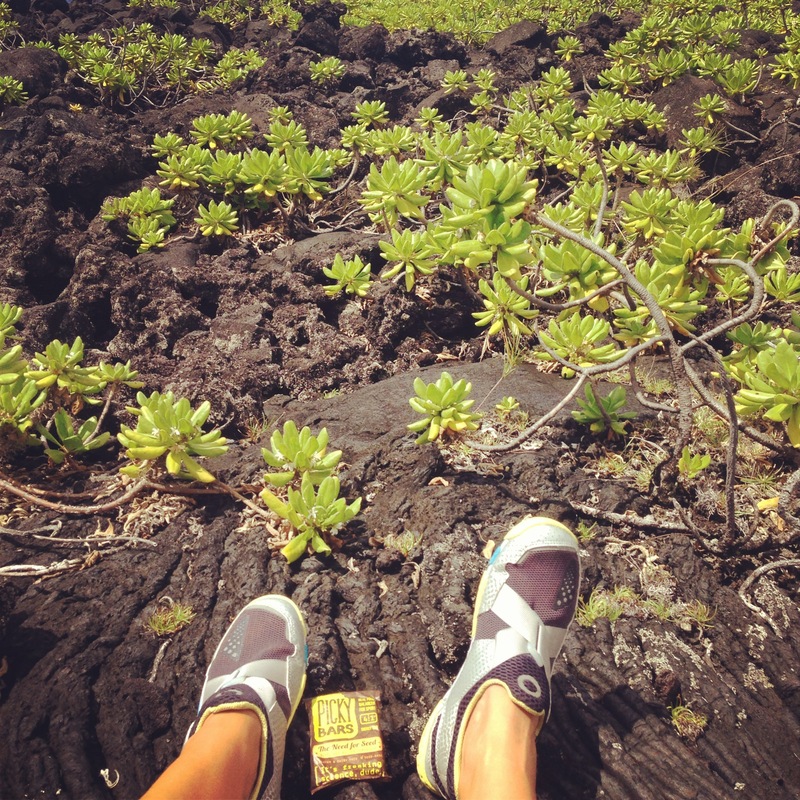 It is supposed to fight free radicals, help lower the blood sugar level and have benefits for skin and overall health. I actually got this to see if it would help me with what seems like never ending skin problems. Because of its anti-inflammatory properties it can help treat psoriasis and atopic and contact dermatitis. 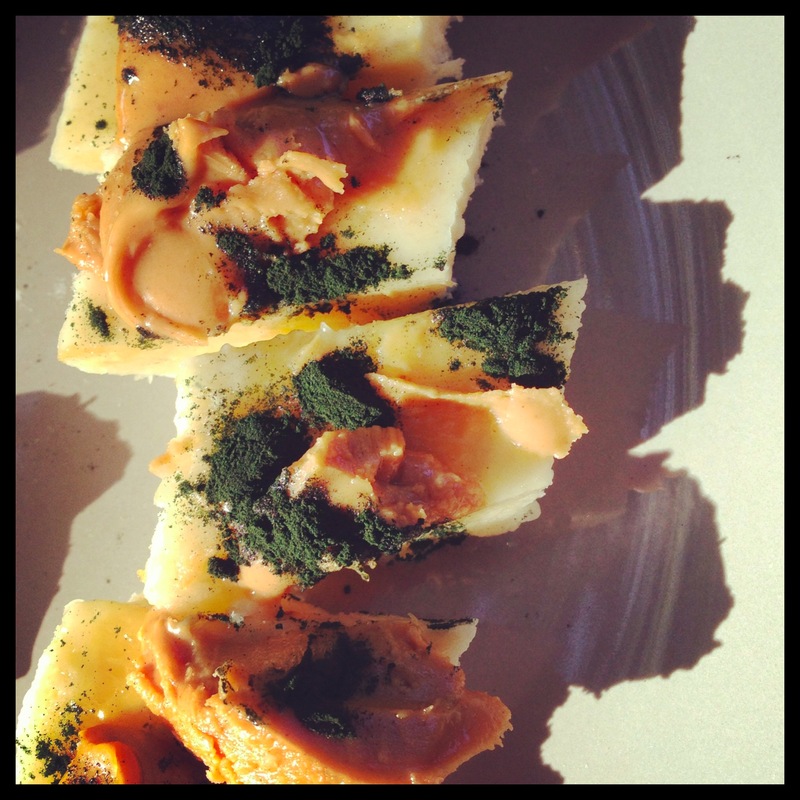 Banana with peanut butter and spirulina. Tasty and filling! So, with added Vitamin D and maybe some fish (krill?) oil I’m thinking I’ll be all set together with my normal mostly veggie diet. Looking to find a protein powder (preferably easy to shake up in a blender bottle) for fast on-the-go fuel, but this one seems to be way harder then I imagined as my stomach seem to hate everything I try. Bummer! 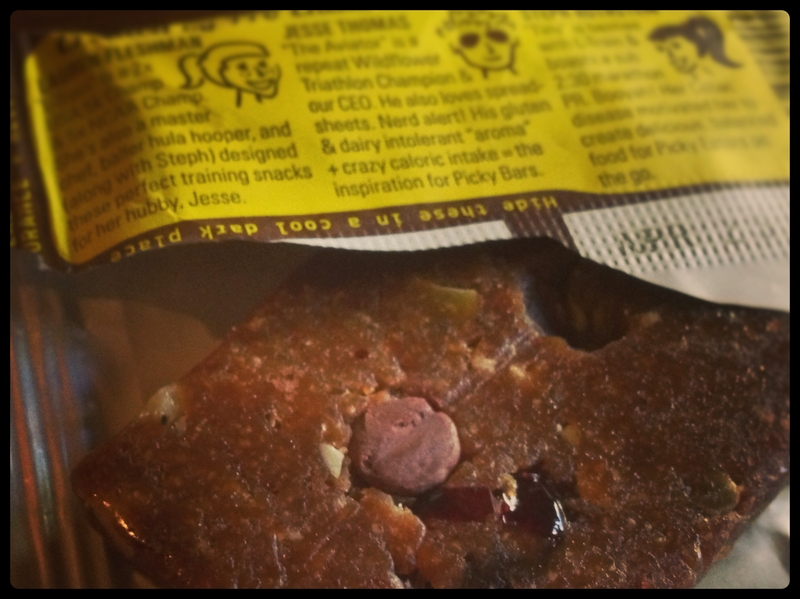 Good thing the ENERGYbits are giving me tons of protein at least. 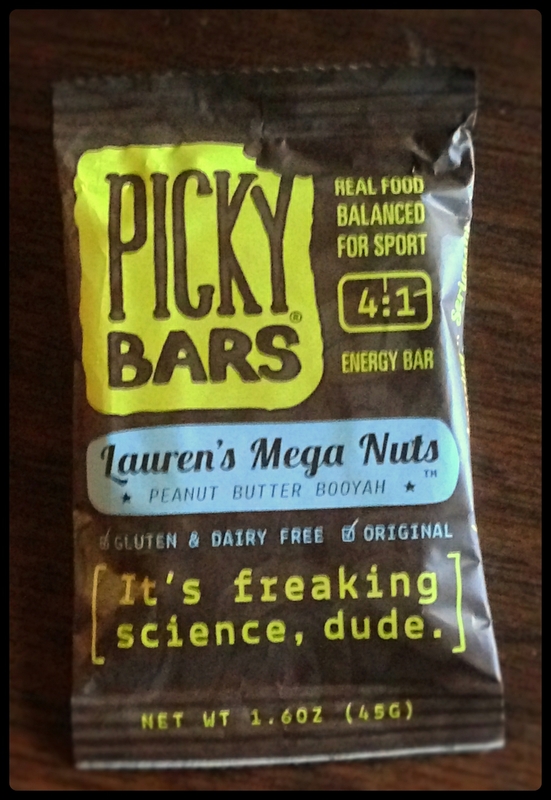 I should also mention that my husband is doing his very best with providing great proteins (without necessarily being meat) for every meal – something I tend to be pretty bad at even after a thousand years as vegetarian/vegan/pescetarian..
Of course I’m also ALWAYS on the lookout for easy and tasty gels/chews/drinks to bring along on long runs. Electrolyte tabs/powders tend to be really hard on my belly so I’m relaying on the ENERGYbits to take care of the electrolyte business for now. I am far from an expert in these things and if you have any suggestions, please feel free to tell me whatever crosses your mind. Q: Do you take supplements? If so, what are you taking? 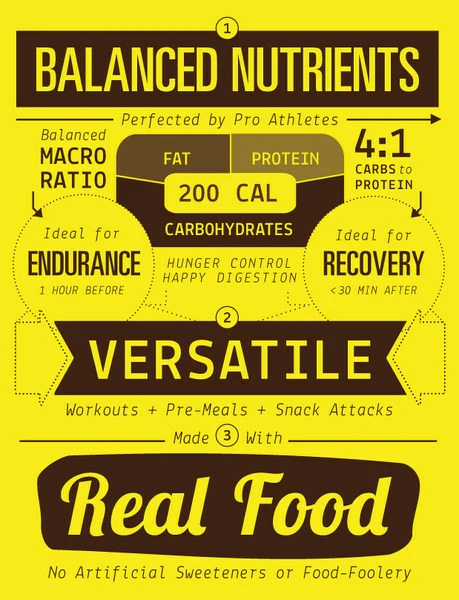 Do you have any suggestions on natural (as natural as possible) and easy-on-the-stomach bring-along-fuel for running? Electrolytes? Categories: Food, Life | Tags: Alpha Liphoic Acid, BioAstin, Energybits, Fuel, Multivitamin, Protein, Running Fuel, spirulina, Spirulina algae, Supplements, Vitamin D | Permalink.